I launched this blog eleven years ago. Yes, my blog stepped into the 12th year on Feb 9th. Never in my dreams, I thought I would start blogging but it happened! 11 years of blogging ❤❤ !! Indeed a memorable milestone!! It is all about hard work, love and determination 💕😍. Over this period of blogging, my blog has 46,07,000 Lifetime Pageviews/readers/visitors. With every blog post, I engaged myself and learned and the learning continues. 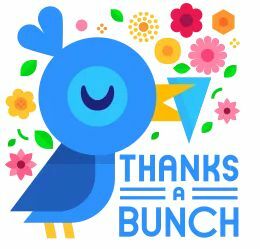 Special thanks to everyone from the bottom of my heart, for your continuous support and taking time to show your love by visiting my blog, reading, trying out recipes, mailing me and leaving comments. Love you all! 💕💕. Over these years, I have built up a very good circle of friends from all over the world. I am elated and grateful to God for these 11 years of growth, influence and impact and am happy that I started this journey. I owe every bit of success of my blog to all the readers of my blog. Its 'you' who have made a normal home maker into a food blogger. I will continue to share my kitchen journey through 'Shanthisthaligai'. I've received so much of love and appreciation from all of you. Thanking you all once again for motivating me.